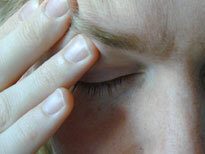 Do you experience pain, fullness, pressure or ringing sounds in your ears? Do you have sore jaw muscles? Do you have pain when chewing? Do you hear cracking or clicking sounds when you eat? Have you been told you have "TMJ"? If you answered yes to one or more of these questions you may be suffering with a common orthopedic condition known as “TMJ” or Temporomandibular Joint Dysfunction. TMJ Dysfunction, also known as TMD, is a common condition which results from a variety of different causes including stress induced clenching and grinding of the teeth, injuries, a poor dental bite (malocclusion) and even hereditary influences. Dr. James Moodt and his staff take great pride in providing patients with the skill, knowledge and vast experience a patient deserves to correctly diagnose and treat your condition. Our goal is to eliminate pain, improve function and restore a patient to an optimal quality of life as quickly as possible. Treatment techniques are painless, non-surgical, reversible and safe!